I don't know why I never tire of white kitchens! I especially like the stainless steel counters sand white marble, oh and those lights are pretty unique and neat too. See more of this space over here. I've been so into white bathrooms and kitchens lately, I guess they're both places you'd want to have super clean? Love it! Those kitchen lights! I love them. They look sturdy like they might make it through life with a few wild kids too! The little blue stool in the first one is so cute, functional in a kitchen? I'm not so sure, but cute hell yeah! I finally have my own gorgeous white kitchen and yet I never tire of looking and noticing every detail of other white kitchens. Love the clear globe pendants and open shelving. That rich beautiful floor really sets it off. White kitchens are the prettiest kitchens! I really love that pretty little stool with the blue cushion - it pops! I LOVE the light fixtures above the island. They are so amazing. I am loving your blog by the way! 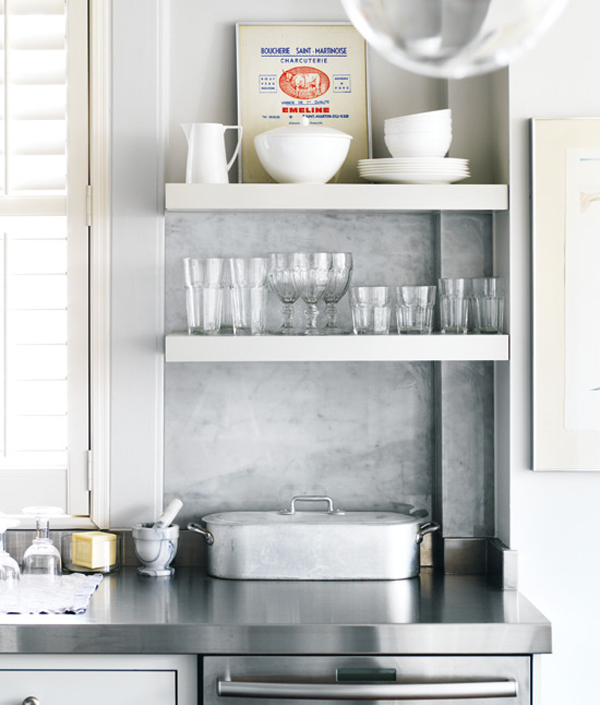 I am crazy over the thought of a new, clean white kitchen. I just wrote a post with another gorgeous picture! Didn't know I had a dream kitchen...now I do! I've been going through various sites and often find white kitchens and bedrooms really relaxing. But I may not want to have absolutely white kitchen because I may not be able to clean it. LOL! I love it! 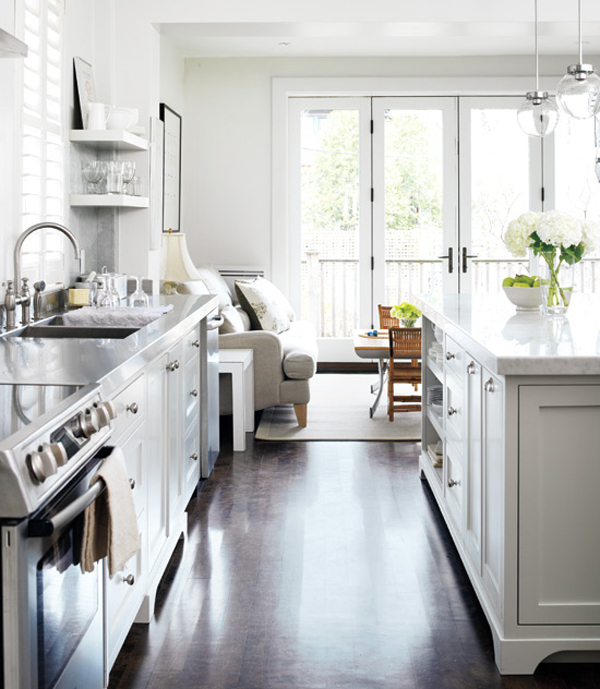 White kitchens are timeless, they never go out because they look so clean and light and inviting.